The European Meteorological Society has chosen Tillmann Mohr as Laureate of the EMS Silver Medal 2018. He is honoured for his key role in shaping the European Meteorological Infrastructure (EMI). Under his visionary leadership, EUMETSAT matured into an internationally recognised organisation. In addition, he made an outstanding contribution to establishing a global space-based meteorological observing programme under the umbrella of WMO and has been instrumental in developing training and educational programmes for satellite meteorological products in Africa and worldwide. Through his entire career, he has been committed to the European meteorological community and has been very active in convincing decision-makers, as well as the public, about the importance of meteorological observations from space. The Silver Medal ceremony, including the Silver Medal Lecture by the Laureate, was held on Monday, 3 September 2018, during the Annual Meeting of the EMS in Budapest, Hungary. Dr. Tillmann Mohr has made an outstanding contribution to meteorology on an international scale. He has played a key role in shaping the European Meteorological Infrastructure (EMI). Under his direction, EUMETSAT matured into an internationally-recognised organisation, with the initiation of two flagship programmes: Meteosat Second Generation and the European Polar System. He has also been instrumental in developing training and educational programmes for satellite meteorological products in Africa and worldwide. Through his entire career, he was very active in convincing decision-makers as well as the public about the importance of meteorological observations from space. Undoubtedly, Dr. Mohr is one of the pioneers for satellite meteorology in Europe and worldwide. Having graduated at the University of Frankfurt, he started to work at the German Weather Service, DWD, and quickly recognised the enormous potential of satellites for meteorology, as can be seen from his first papers in 1971. After filling a variety of posts in DWD, he was appointed Vice President in 1984 and President from 1992 to 1995. Dr. Mohr played a key role in the establishment of EUMETSAT. Starting with his membership in the relevant working group at ESRO (European Space Research Organization, later ESA) from 1971, he became one of the leaders of the European Meteorological Community and the European Space Agency. This included shaping the mission and mandate of EUMETSAT, and developing its Convention to include climate monitoring from space. As Director General of EUMETSAT from 1995 to 2004, Dr. Mohr developed EUMETSAT into a leading institution worldwide whilst establishing new standards for meteorological observations form space. This was achieved with the approval of the innovative Meteosat Second Generation and EUMETSAT Polar System programmes and the development of both systems in cooperation with ESA. Dr. Mohr’s visionary leadership has led to the involvement of EUMETSAT in the evolution of high-precision ocean altimetry to operational monitoring capabilities, in cooperation with NOAA, NASA and CNES. 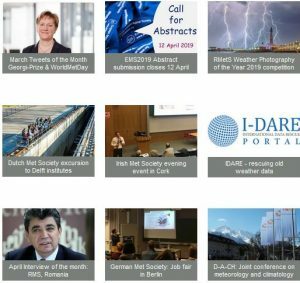 Dr. Mohr’s concern and effort has always been to strengthen cooperation in the European meteorological community, be it as a principal delegate of Germany in the various international European organizations or in the WMO or, in particular, as Director-General of EUMETSAT. The widest possible use of satellite data in cooperation with the member countries of EUMETSAT has been greatly enhanced by him creating the Satellite Application Facilities (SAF) of EUMETSAT. The introduction of a training program was of particular importance for the optimal use of satellite data in Europe and especially in Africa. The biennial EUMETSAT African User’s Conferences were established under his leadership. He was also instrumental in the development of the legal instrument “Cooperating State” to enable participation and contributions by Eastern and South-eastern European countries, as a first step to become a member state of EUMETSAT. In conjunction with the WMO space programme, Dr. Mohr promoted several ground-breaking initiatives in the field of satellite meteorology. These included the Global Space-based Inter-Calibration System (GSICS), the WMO Network for Sustained and Coordinated Processing of Environmental Satellite Data for Climate Monitoring (SCOPE-CM) and the WMO Integrated Global Dissemination Service (IGDDS). 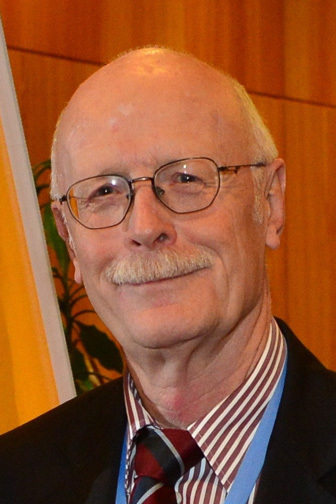 Dr. Mohr has made distinguished contributions to the development of meteorology in Europe and the EMS is delighted that it is able to recognise his many achievements by awarding him the EMS Silver Medal.